A proudly independent practice, Peepers Opticians has been serving Tunbridge Wells’ eyes since 1986. Our founding father, David Twocock, worked in a local opticians as a dispensing optician before he decided to take the leap and open a small practice with his wife Linda. Starting with one consulting room, they worked diligently to provide exceptional eye care and eyewear to our local community. Since then Peepers Opticians has grown to offer three consulting rooms staffed by an expert team of five optometrists, two dispensing opticians and two lab technicians. David and Linda’s son, Danny Twocock, joined the practice in 1991 as a lab technician and has since taken over the business, continuing the family legacy by future-proofing the practice for many generations to come. Our practice ethos revolves around providing the best quality services and eyewear solutions. Frames, lenses, contact lenses and sunglasses are all sourced from the most acclaimed international manufacturers and we’re always on the look out for the latest trends. We also have our own on-site lab to ensure your spectacles are uniquely fitted to your features. 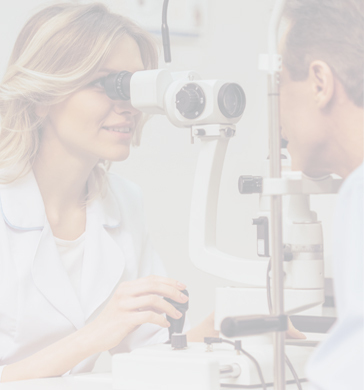 We pride ourselves on our highly personal approach to eye care and our professional and highly experienced team thus offer one of the most comprehensive eye examinations in Kent. Our commitment to innovation led us to invest in state-of-the-art OCT and Optomap machines to give you absolute peace of mind when it comes to your eye health. In addition to private and NHS appointments, Peepers Opticians offers glaucoma and diabetes monitoring, children’s eye tests and we’re specialists in varifocal and Ortho-K technology.